Leading regional law firm Howes Percival has launched a free step-by-step guide to help businesses claiming debt payments from individuals, including sole traders. The easy to use flowchart guides business through the Pre-Action Protocol for Debt Claims which courts expect creditors to have complied with before suing creditors. “Last October, the Government introduced the Pre-Action Protocol for Debt Claims with the aim of encouraging early engagement and communication between businesses and creditors to try to resolve matters without the need for court proceedings. The Protocol also aims to encourage parties to act in a reasonable and proportionate manner to help avoid running up of costs which aren’t reasonable in relation to the sums owed. And, in situations where litigation is unavoidable, it supports the efficient management of proceedings. The new guide is the fifth in Howes Percival’s ‘Litigation Maze’ series which is designed to ensure organisations stay on the right side of the law and complex issues are handled correctly. Other topics covered by the series include dealing with unpaid invoices, disputes concerning orders and contracts, partnership and shareholder disputes. Click here to download Howes Percival’s ‘Navigating the Litigation Maze’ guide, ‘Debt Protocol’. 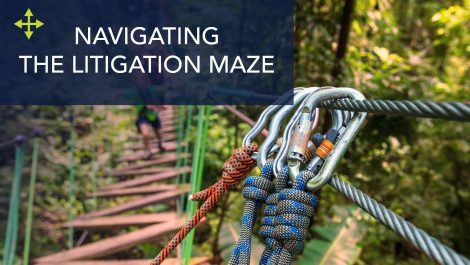 Click here to see the full ‘Navigating the Litigation Maze’ series. Howes Percival’s Commercial Litigation and Dispute Resolution team advises on both national and international commercial disputes. The team advises on a broad spectrum of disputes for businesses, government clients and individuals and have expertise in dealing with complex, high value and high-profile cases. They specialise in disputes that require urgent court action such as injunctions, freezing orders and search and seize orders.